A One-Week Divine Liturgy will be held on Sunday, January 20, 2019, at 11:00 am at Saint Charbel Parish Ottawa, Maronite Catholic Church, 245 Donald St.
Beloved son of Josephine Braks and the late Moussa Diab Imad. Loving husband of Hala John Dib. Caring father of Mariam Imad. Much loved brother of Emile, George, Elias, Hanna, Amal, Marie and the late Tony, all of Lebanon. Loved Nephew of Jaqueline Tamba (Fayez) of London, On. Dear cousin of Reverend Fr. Henri Imad, John Imad, Sobhi, Boutros and Tony D. Imad, Olga Khoury (Pierre), Jad and Joe Imad, Sandra Kassis (Charbel), all of Ottawa; Michel, Milad and Roy Imad and Aline Nasr (George) all of Montreal. 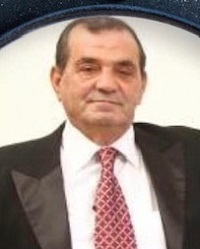 Passed away in Lebanon on Monday, January 14, 2019.